The Georgia Elite Classic is excited to announce its dates for the 2017 games to be played at McEachern High School. The Classic will be going into its fifth season and the three-day event will be held Dec. 26-28. There also will be a freshman game this season in addition to sophomore, junior and senior games and just as the Classic did in 2016, gameday on Dec. 28 will open with a B2C eighth-grade All-Star game. In the upcoming weeks, the Classic will also announce its new recruiting partner, expected to be one of the top recruiting services in the country as well as dates for combine tryouts which will be held throughout Georgia during the spring. In addition, the Classic will soon announce its plans for 2018 when Super Bowl LIII comes to town in February of 2019. The Classic plans to play its games during Super Bowl week as well as bringing in an All-Star team from another state. The Georgia Elite Classic is an event run under the direction of Score Atlanta which also handles the Metro PCS Corky Kell Classic and Signing Day Frenzy among other events. 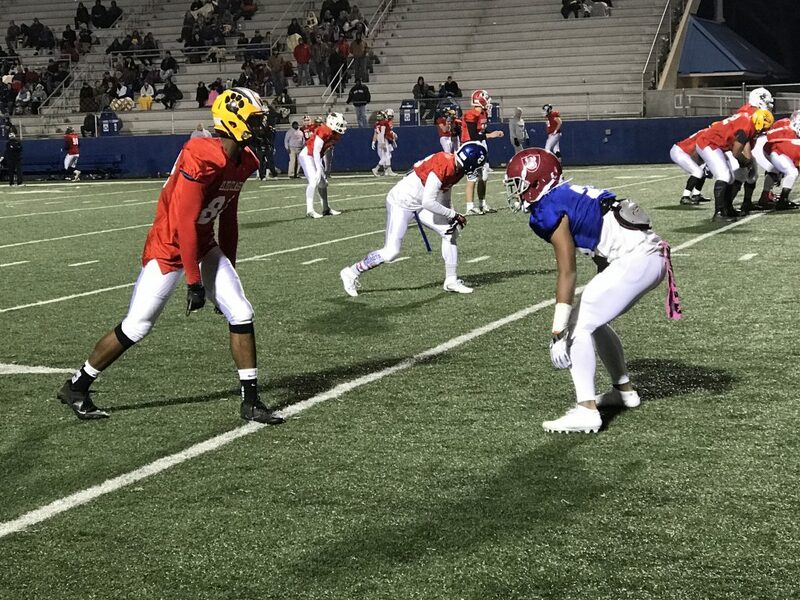 Last December, more than 320 football players and 64 coaches from around the state participated in the Georgia Elite Classic in four games at McEachern. For more information, go to EliteJRClassic.com or call 404-246-7819.